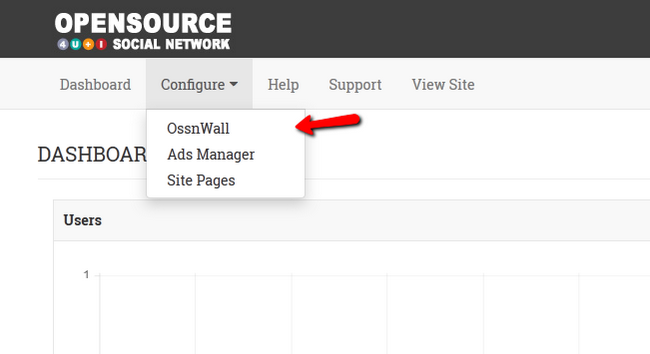 This feature will allow you to configure what you can see on your OSSN Wall when you login into your websites front-end as an administrator. 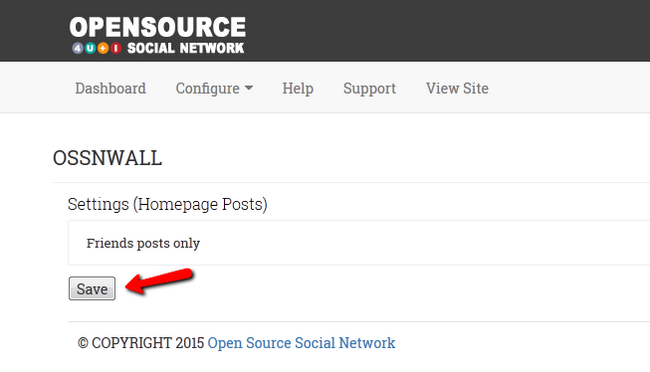 You can access it by logging into your admin dashboard and clicking on the Configure>OssnWall option. Friends posts only - This feature is great if you want to restrict the posts you see on your wall to those made by your friends only. 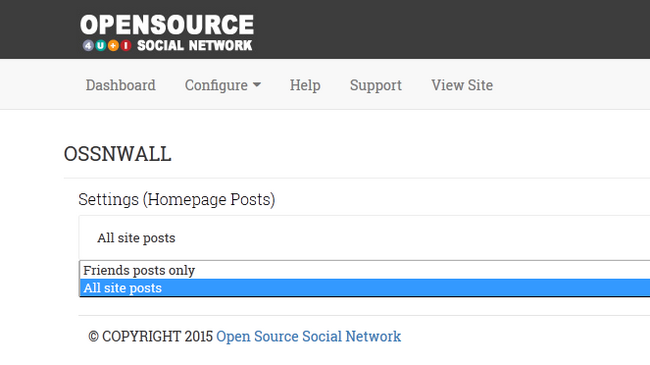 All site posts – This option allows you to see the posts from everyone on your website. This is useful for following your website progress. When you have chosen your preferred option, you can proceed by clicking the Save button. Congratulations, you have configured your admin OssnWall.